You are here: Home / Dreamers, Trump Tweets, Messing vs. Sarandon, Whole Foods, and Andy’s Gone Fishing. The World Goes On. If you’ve noticed the reporting and blogging to be a little slow and unresponsive this morning, do not adjust your internet. We’ve been waiting for a break to take time off from the news since, uh, the Republican Convention, and it just hasn’t come. So, happily Andy took off this morning to go fishing. No really. We have pictures. See below. Rest assured, it is #nationalflipflopday and recognizing the fact, President Trump happily has switched his campaign promise to kick the DACA Dreamers, undocumented immigrants who came to the US as children, out of the country. While the internet has seized on this news, unfortunately it’s been allowed to gloss over the fact that last night U.S. Homeland Security Secretary John Kelly rescinded the DAPA program, announced by President Barack Obama in 2014, intending to protect the parents of the Dreamers. Those without a criminal record who have lived in the US since 2010 and have children who are U.S. citizens or lawful permanent residents would be given a work permit and protection from deportation. DAPA has been held up in court, challenged by Texas and other Republican states and was never implemented. Mother Jones points out that Trump did assure the Dreamers in January, saying “They shouldn’t be very worried…I do have a big heart,” on ABC News. In other news, Amazon is buying Whole Foods for $13.7 billion in cash to become the grocer to all those Washington Post readers, and more. Helmht Kohl, former chancellor of Germany is dead at 87. Michelle Carter, the woman who texted her boyfriend to kill himself when they were teenagers was found guilty of involuntary manslaughter and could face up to 20 years in prison. She is now 20. Susan Sarandon compares Debra Messing to President Trump and it’s definitely time to go fishing with Andy…. 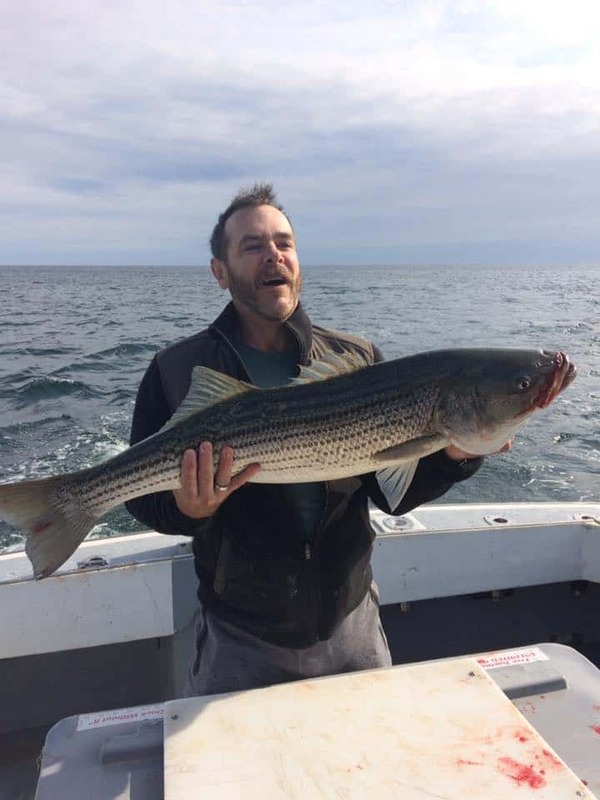 Real Andy Towle looks to have had a great morning out with some friends and they look to be bringing back some supper…possibly enough for the whole town. Congrats guys! 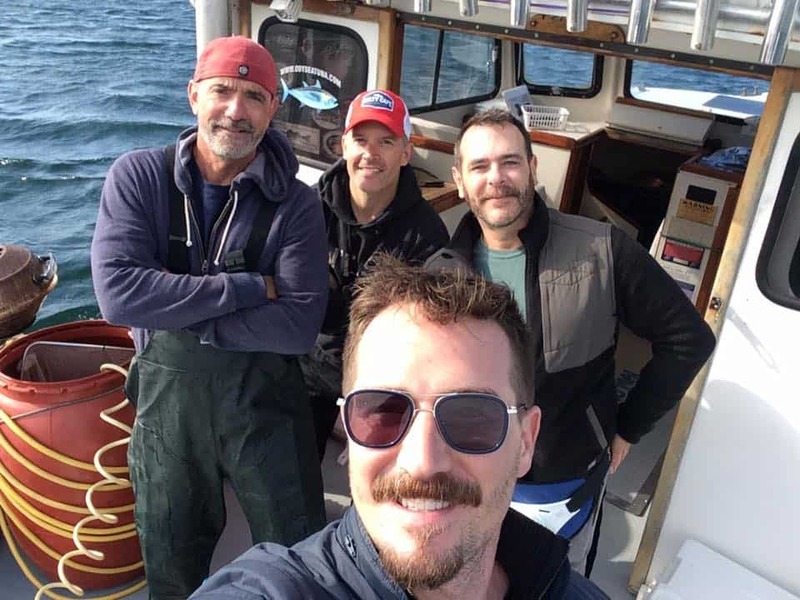 I Understand Stanley Cottner, a co-owner of Queen Vic Guesthouse here in Provincetown, hauled in the big one, and thanks Brewster McCall for the images/selfie. Gone fishing! Andy Towle with friends.